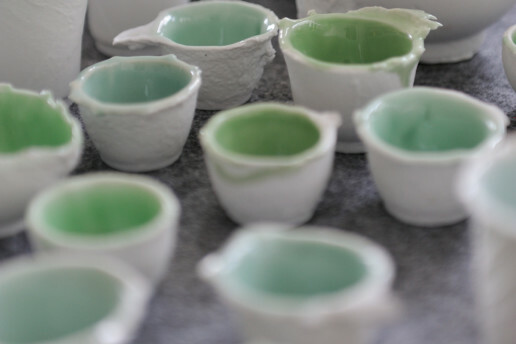 Pulled from the ceramic laboratory of artists and designers Julie Progin & Jesse McLin, a series of Curios or rare, unusual and intriguing objects will be on display for a month in their Chaiwanese studio starting May 25th. The collection of curiosities stems from the duo’s ongoing research and investigation with porcelain and celebrates the spirit of inquisition, experimentation and the poetics of dysfunction. Prototypes of projects such as Erosion, Clay Bodies, Partial will be on view. Join us for the opening on Saturday May 25th and discover our studio and our work along with some bubbly.